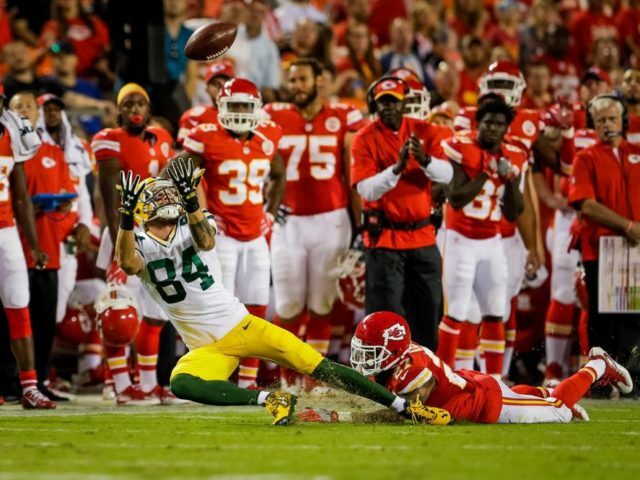 In what was the last audition for players on the bubble before rosters are finalized, the Green Bay Packers wrapped up their preseason slate with a 17-7 loss to the Kansas City Chiefs. The contest was marked by largely ineffective play from the offense, though the defense and special teams had a number of standout performances from players looking to secure spots on the 53-man roster. The Packers punted on each of their first three possessions and only found the endzone after benefitting from a shortened field following a blocked punt. That touchdown came on an impressive five-yard catch by tight end Jared Cook from quarterback Joe Callahan. But that would be it for the Packers’ scoring. The defense allowed scores on three of Kansas City’s four second quarter drives and put Green Bay in a 17-7 hole at halftime. Despite rebounding by forcing three turnovers in the second half, the Packers offense was unable to capitalize and was shut out over the game’s final three quarters. Callahan had a respectable though not spectacular day leading the Packers’ offense. He completed 13/24 passes for 143 yards and the touchdown pass to Cook before giving way to Marquise Williams in the fourth quarter. He continued to scramble and escape initial pressure well, though he took four sacks and occasionally held onto the ball too long. The running game was led by Brandon Burks, who is likely to be the team’s number three back after John Crockett was placed on injured reserve earlier this week. He had just 31 yards on 12 carries and also lost a fumble. Jared Abbrederis led the receivers with 49 yards on two catches. While the offense struggled, a number of defenders and special teams contributors had more impressive days. UDFA Josh Hawkins, who intercepted a pass against Oakland two weeks ago, had another pick against Chiefs quarterback Aaron Murray that helps his case to make the team. Ladarius Gunter, who made the roster as an undrafted rookie last season, also had an interception for the Green Bay secondary. The front seven had a few big plays as well. Kyler Fackrell, the Packers’ third round selection this year, led the team with ten tackles, including six tackles for loss and a sack. Datone Jones, who is adapting to a new role on the defense, also recorded a sack for Green Bay. In a drastic turnaround from last season, special teams was arguably the Packers’ strongest unit against the Chiefs. Ty Montgomery blocked a punt that led to Green Bay’s only touchdown and added a 23-yard kick return. Abbrederis, who has looked good as a receiver throughout the preseason, handled punt return duties and had a 42-yard return of his own. Meanwhile, newly-signed punter Jacob Schum had an impressive and reassuring debut in the green and gold. On eight punts, Schum averaged 45.5 yards, had a long of 57 yards, and pinned the Chiefs inside their own 20 three times, including twice inside the 10. After releasing both Peter Mortell and Tim Masthay earlier this week, Schum showed that he has the tools to be effective in Green Bay’s punting game. With the preseason now in the books, the Packers’ coaching staff has until Saturday afternoon to finalize the 53-man roster. Many of the spots have already been decided, but a lot of the younger players will hope that their preseason performances were enough to secure a spot on the team. After finishing the exhibition games with a 3-1 record, Green Bay now turns its attention to the regular season. 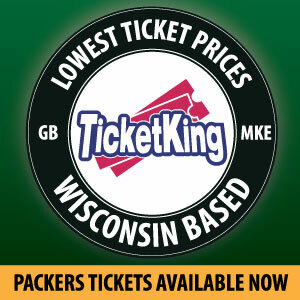 The Packers open the year with a trip to Jacksonville to take on the young, explosive Jaguars on September 11. This entry was posted in Uncategorized and tagged Jacob Schum, Joe Callahan, Kyler Fackrell. Bookmark the permalink. Yeah. Preseason is over. Evaluations forthcoming. Injury report excellent. Looks like we found a new punter.Abby solidified himself on the 53 man roster. Let’s get this party started. The first quarter of the season will hopefully bring back Linsley healthy and Pennel off his suspension.I’m very excited to see Jordy back and our offense click on all cylinders. This years defense should be a top ten or better overall. Lots of turnovers by our secondary,which Arod will turn into TDs.GO PACK GO!!! DOMINATE!!!! See you at the Dallas game. Looks like Linsley will go on the PUP. We’ll see him back on week seven. With the bye week so early,Week four, I hope to see him back against Da Bears at home. Tretter is more then capable of holding down the fort.